it is a good vacation by the beach hotel, however, bistro menu needs total revamp to inlucde cuban cuisine as well as hot food. Nice hotel. Good location near beach, nice staff, good amenities. Great place to stay. Nice hotel, staff and location. All information said the room had a CD player, but it doesn't. Great location. A little run down for the star rating, but it served our purpose. We arrived a day late due to cancelled flights from weather so we lost a nights stay we paid for. Located in great area and close to beach. Older place that has not been kept up as well as could be. 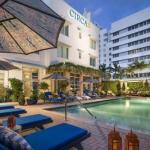 Circa39, a boutique hotel, is within easy walking distance of spectacular white beaches of the Atlantic Ocean. 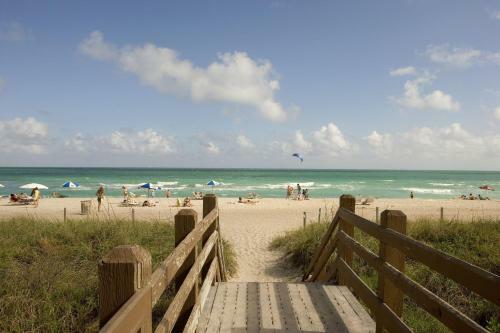 Ocean Drive, South beach, American Airlines Arena, Port of Miami, Bayside Market Place, Miami Beach Convention Center and buzzing Lincoln Road are minutes away from the property. The ocean breeze redolent with jasmine and bougainvillea; personalized service; and luxury amenities make it perfect place for a holiday. A concierge desk, in-house bistro, complimentary beverages and newspapers, function space, private parking and high-speed Internet are a big plus. The hotelsYour Desire Guest Program is designed to meet your special needs, interests and preferences. Comfy guest rooms overlook pool, garden or the ocean. In the main building, suites have separate living rooms, kitchenettes and two bathrooms. Each Riverside Suite features a twin-bedroom, king-bedroom and living room. You can soak up the sun on the deck, watch the world go by in the tropical garden and / or laze around in the sparkling swimming pool. Follow health regimen in Fit, Fit & Fitness Room. Save 50% on drinks and food served in Play Bar & Lounge during happy hour. Try massage in the onsite cabanas to melt away tiredness. High-speed Internet can be accessed from all public areas, meeting rooms and guest rooms for added convenience. This elegant conveniently located hotel offers an assortment of modern comforts. Many visitors were happy with contemporary ambience, décor, pool area, courteous and helpful staff, free breakfast, Your Desire Program, cabanas and clean rooms with nice amenities. However, small tired rooms and tiny bathrooms, terrible breakfast, overpriced parking, indifferent staff and noisy AC units were major concerns of some guests.